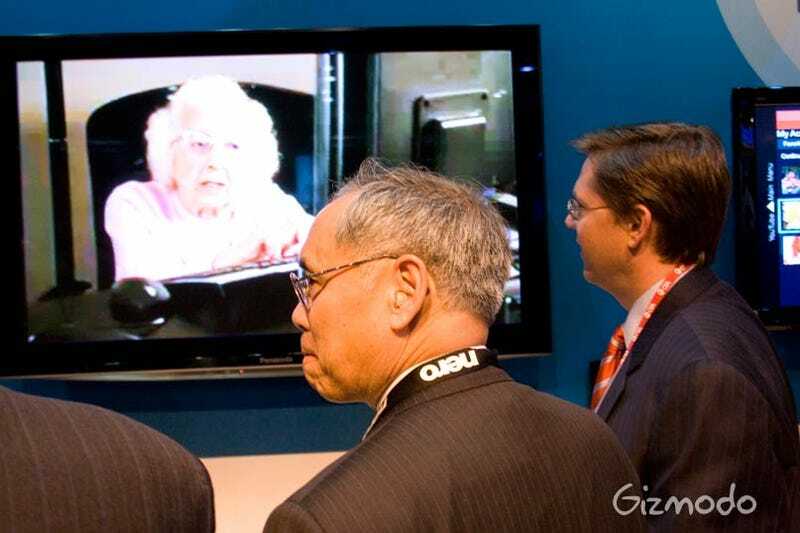 At the Panasonic's booth, Kevin Martin (right) watches the 'Cable PSA' DTV parody—the YouTube video that skewers how difficult the transition is for seniors—for two minutes without speaking. We're guessing that he hadn't seen the sketch before and won't be viewing it again. Do you think he got the joke?